Full fee-paying international students are welcome at Bendigo Senior Secondary College. Provider: Department of Education and Training (DET). CRICOS Provider Code: 00861K. WHY STUDY AT BENDIGO SENIOR SECONDARY COLLEGE? 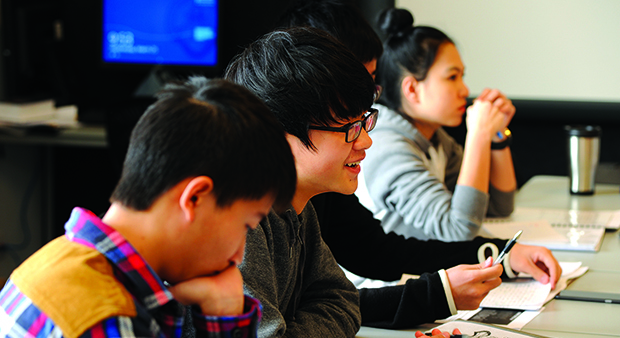 The college is the largest provider of the Victorian Certificate of Education in Victoria with numerous prestigious awards for innovative support for students, use of technology, teaching and student performance (including international students). The college is an accredited provider with DET and was the first state school to become an accredited member of the Council of International Schools. The college has long experience in providing for international full-fee paying students. Bendigo provides a better environment for study with all of the conveniences of a progressive regional city, less than 2 hours travel from Melbourne, with opportunities for healthy relaxation without the problems of traffic or pollution. The city has had a long association with China. Parents are provided with regular reports as well as contact with the college as needed. Staff visit families in the student home country if possible each year. There are no extra costs for uniforms as the college prepares students for tertiary education and does not require students to wear uniforms. Tuition fees are set by DET. The 2018 standard tuition fees for year 11 and 12 are $16974. Homestay payments are $250 per week in 2018 for accommodation and support. WILL STUDENTS BE SAFE AND SUPPORTED? The college has an International Student Coordinator, Homestay Coordinator, Chinese Support worker under the supervision of an Assistant Principal who reports to the Principal. Friendly local families have been working with the college for over 15 years to ensure students are safe, well cared for and supported. HOW DO YOU APPLY TO STUDY AT BSSC?